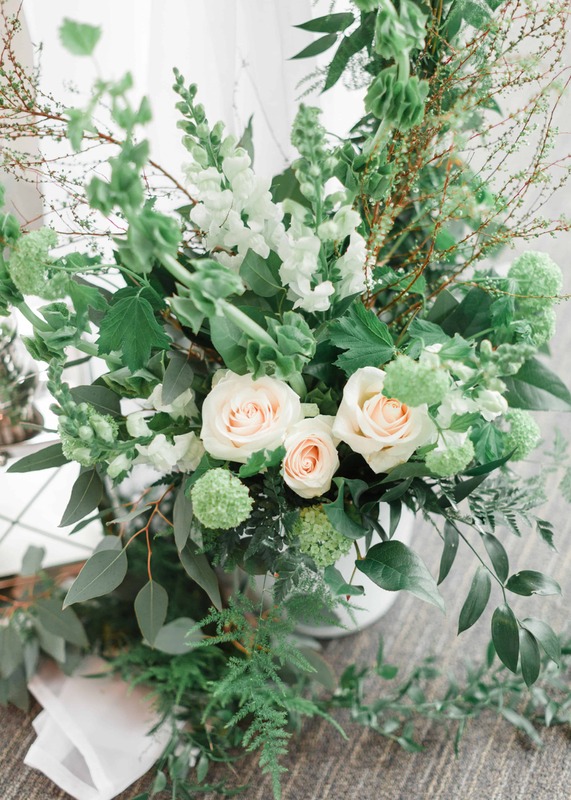 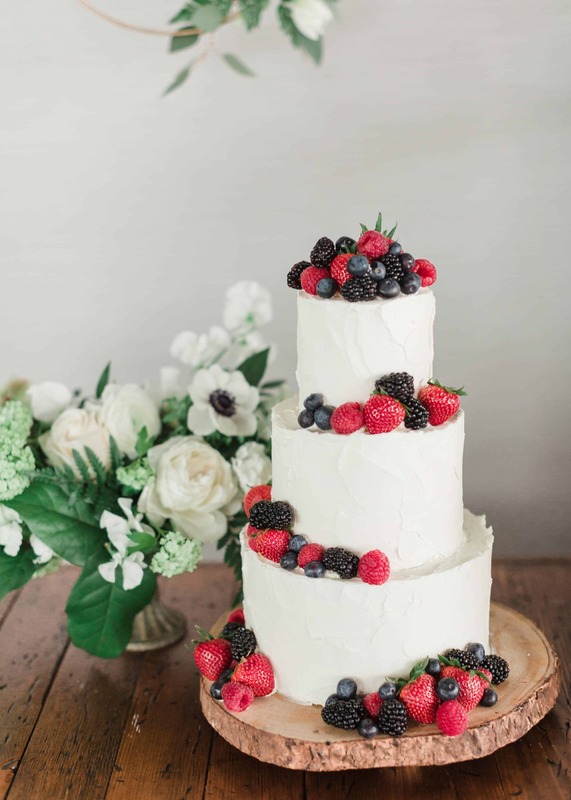 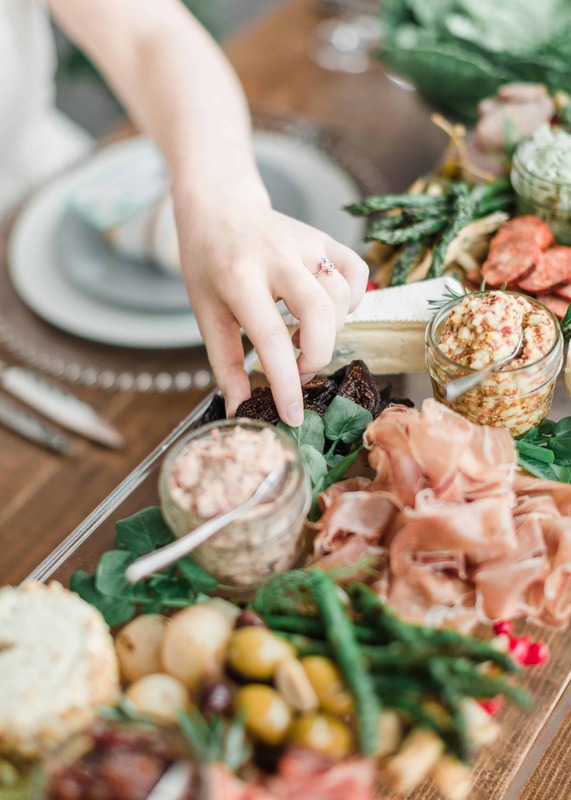 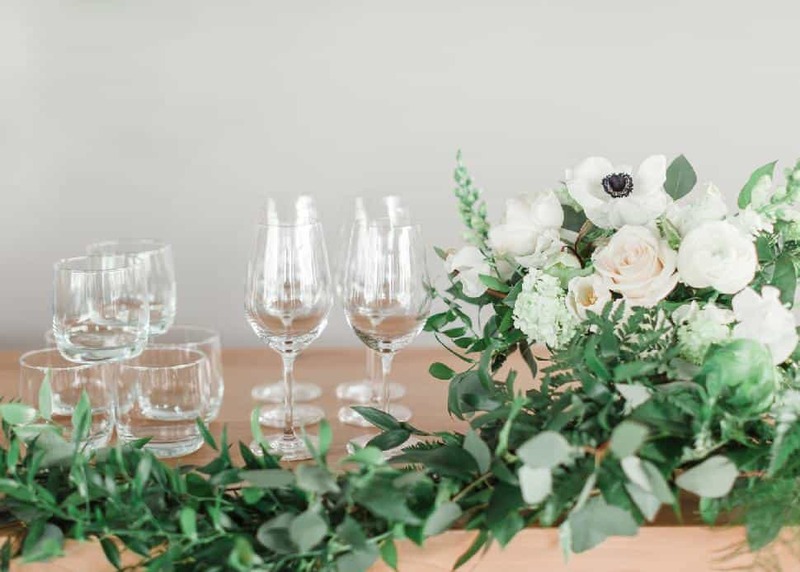 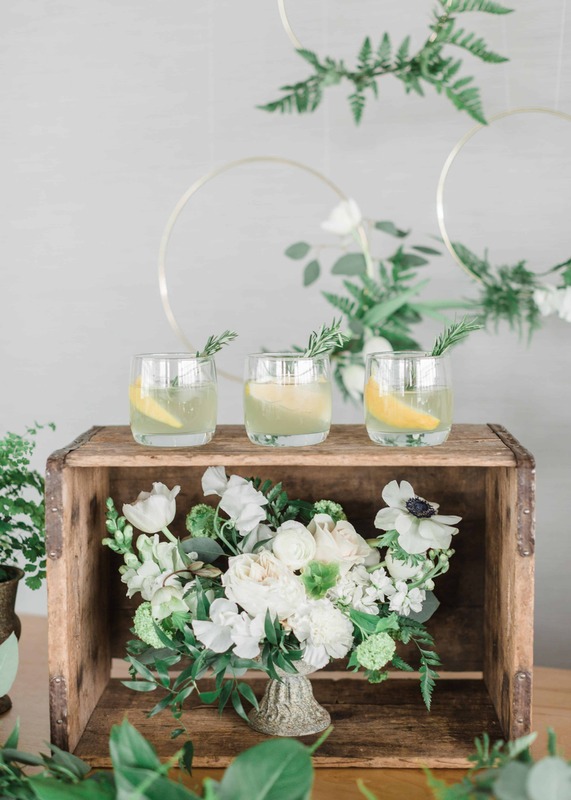 "Our decor theme for this charming wedding shoot was inspired by fresh British Columbia food and local markets, and our goal was to decorate deliciously. 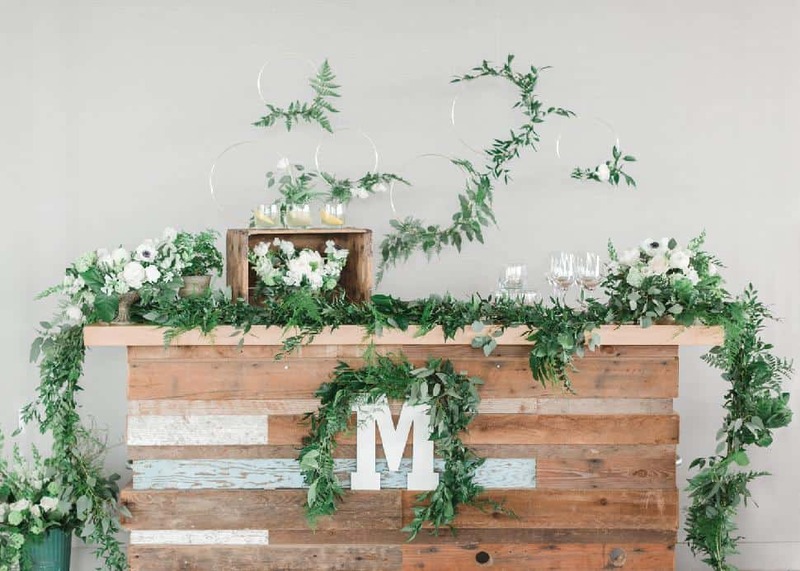 "The entrance to the venue was like stepping into a farmers market with fresh B.C. 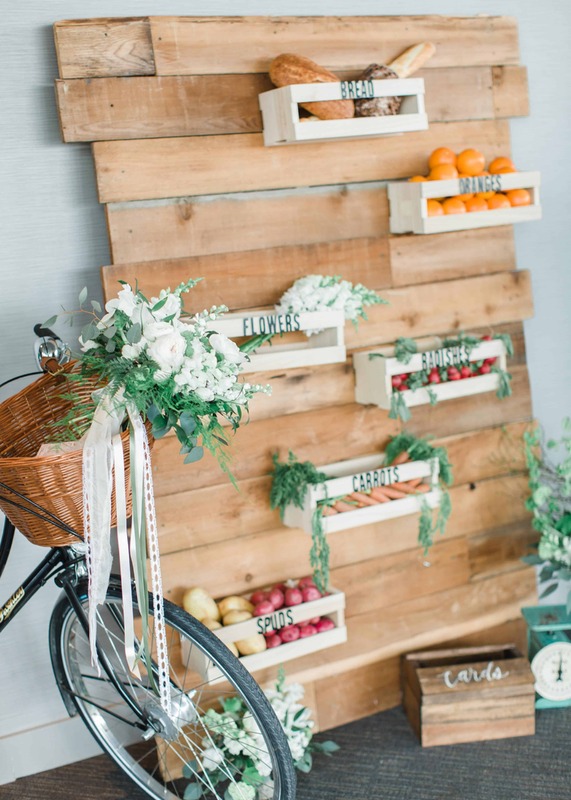 produce, bringing bright hues to a modern yet rustic decor scheme. 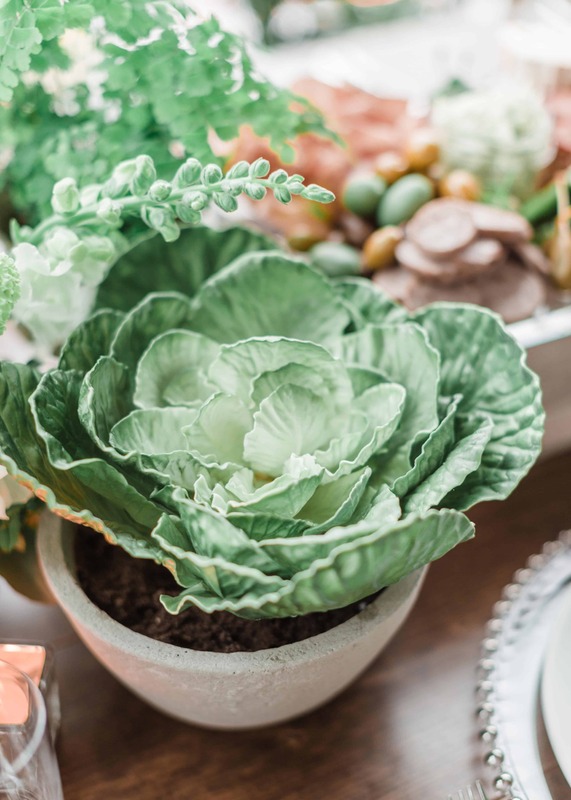 Fresh produce, herbs, breads and baking all took centre stage. 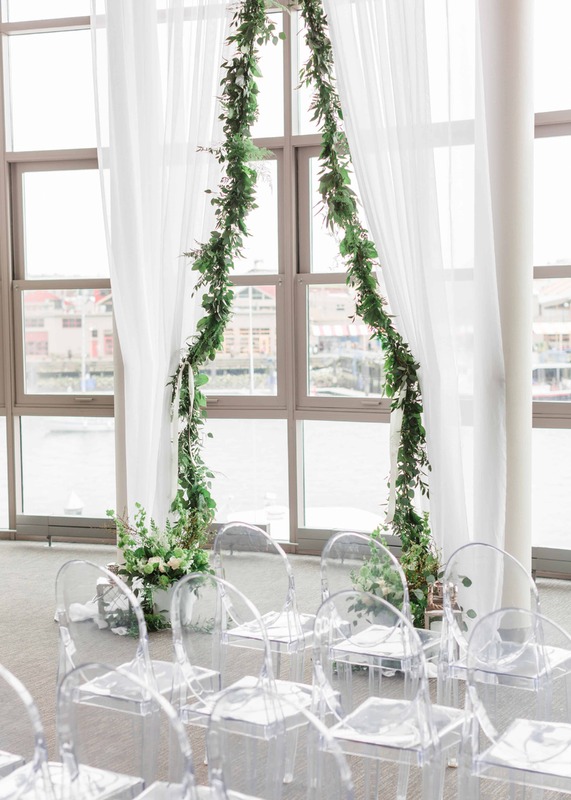 The ceremony location was taken to new heights with a fabric arch framing the stunning views of Vancouver’s inner harbour. 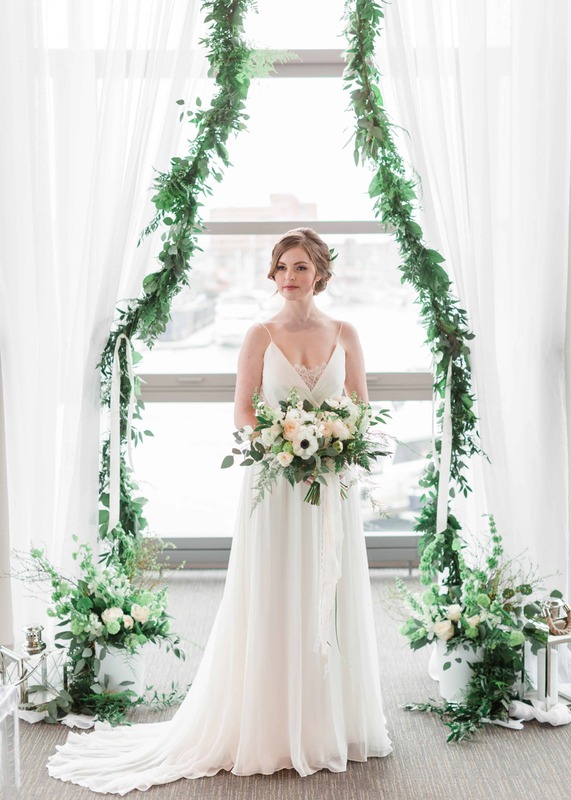 The arch was draped in a garland of solid greenery which cascaded onto the ground and was surrounded by fresh floral arrangements and lanterns." 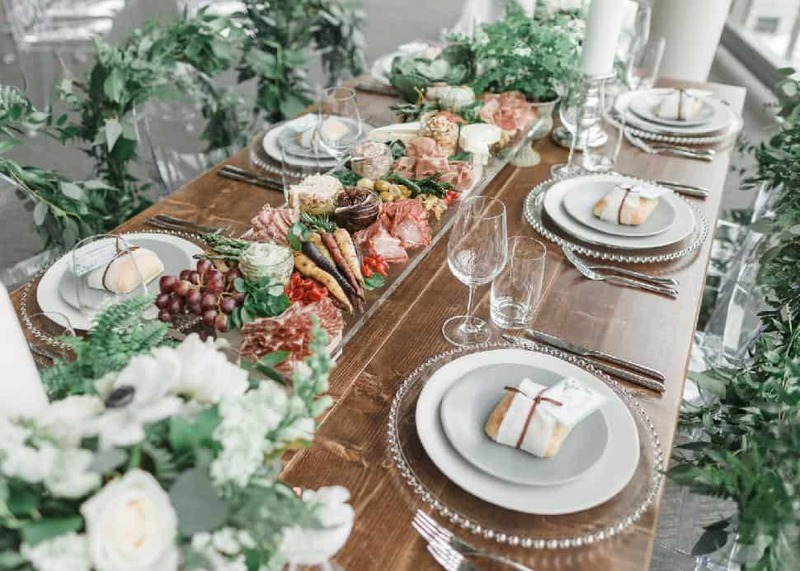 "Harvest tables were decorated with primarily edible centrepieces, accented with garden-style floral arrangements. 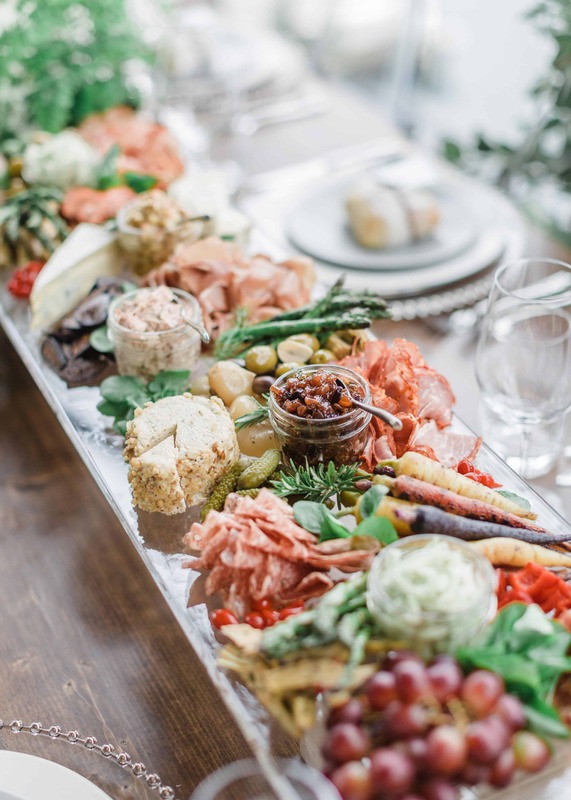 Pots of fresh herbs and ferns accompanied an enticing array of antipasto offerings that offered a punch of colour. 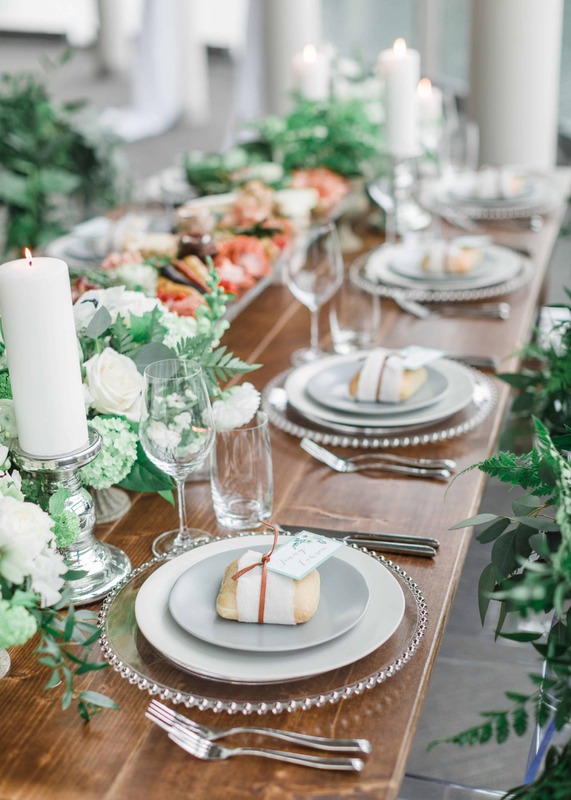 Demi-baguettes wrapped in muslin and tied with name cards were placed at each setting. 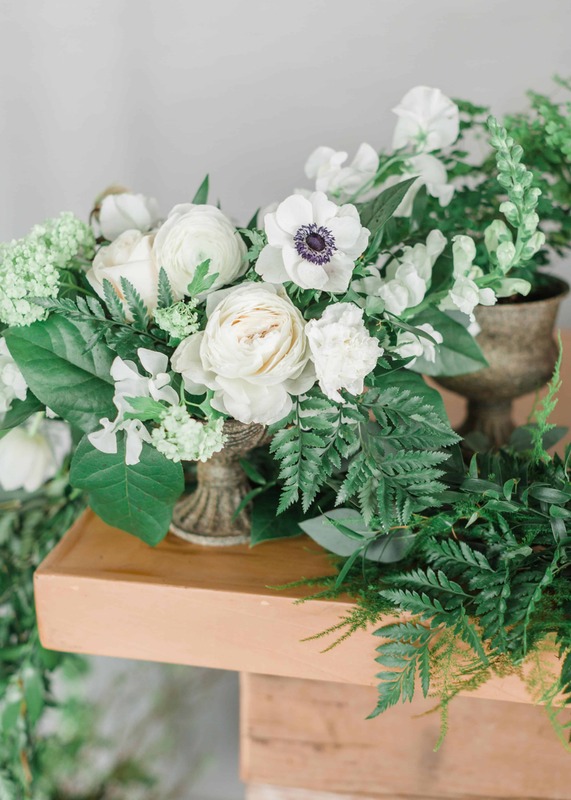 The floral theme on the tables was fresh and rustic, with crisp white snapdragons, roses, anemones and lots of untraditional greenery like ferns and Italian ruscus. 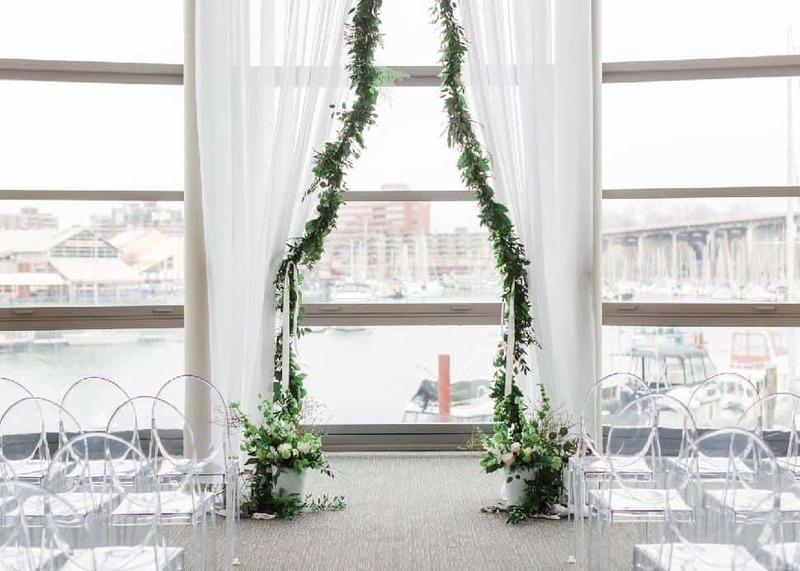 Ghost chairs were draped with a garland of fresh greenery." 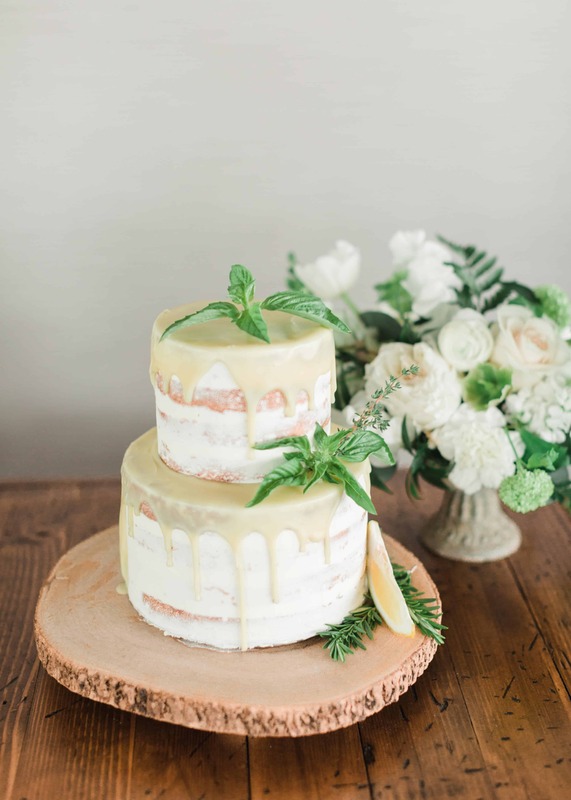 "A trio of rustic-themed cakes were made by Culinary Cakes. 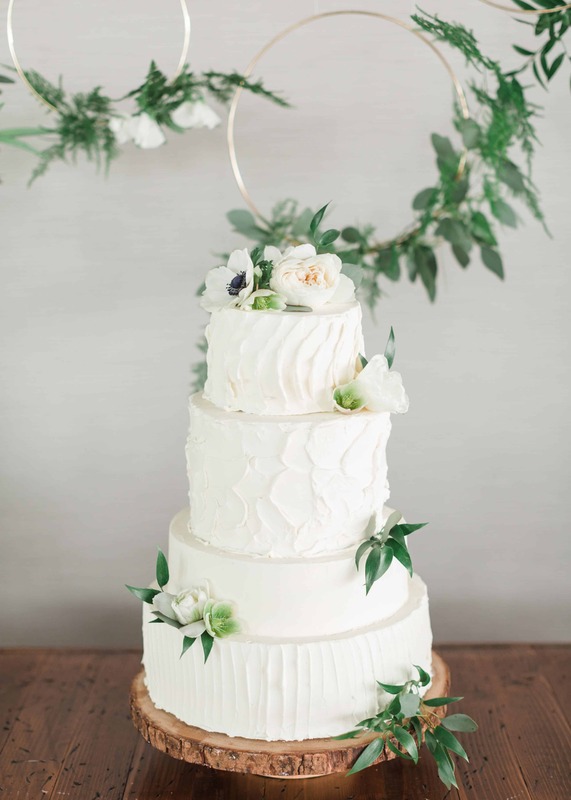 One was an almost naked cake with ganache drip. 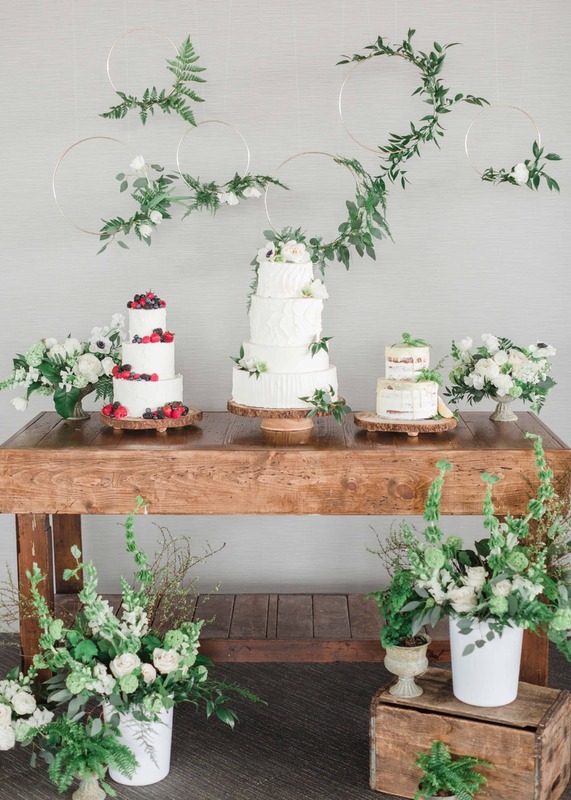 One was a speckled finish cake, and the last had three different finishes." 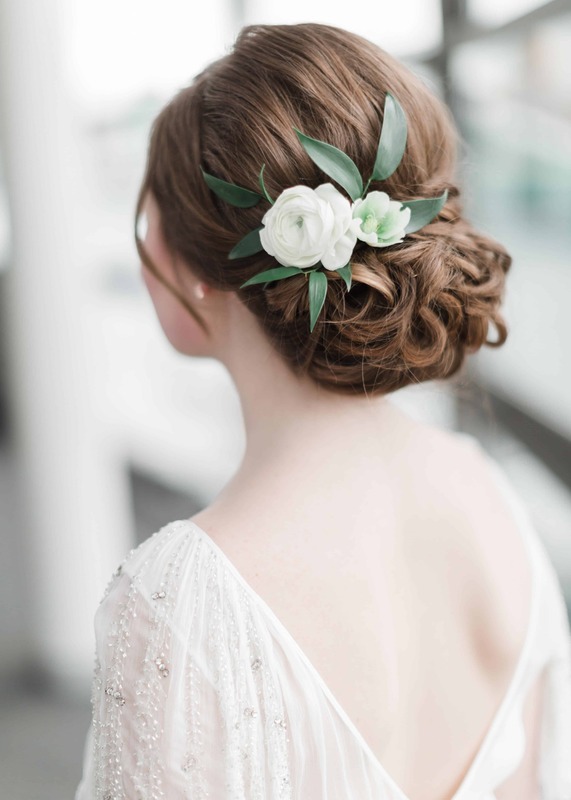 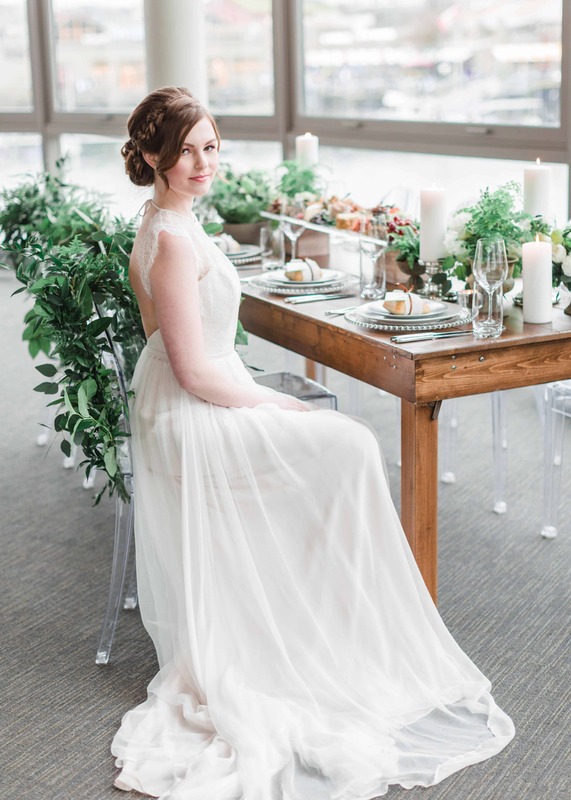 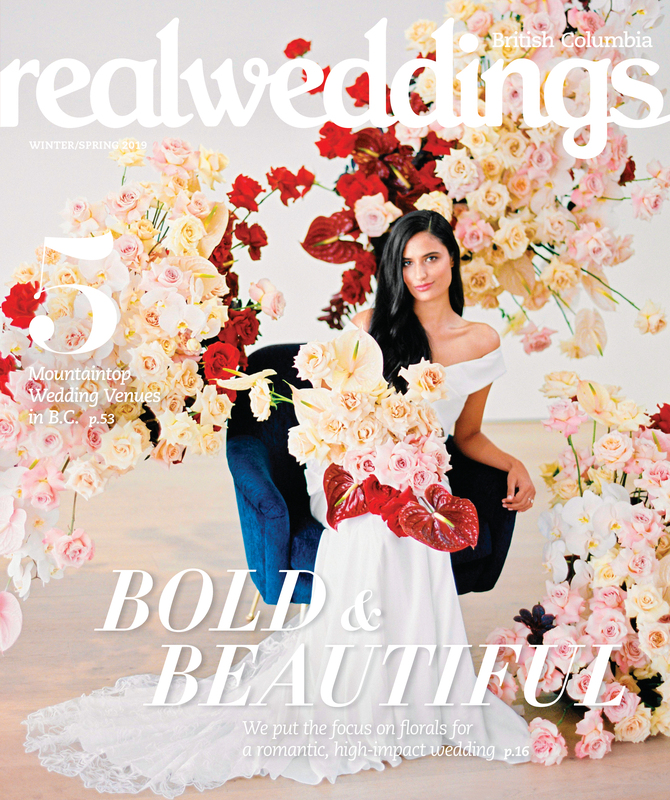 "Event planner Briar Johnston of Epic Events really executed the vision and pulled in most of the contributing vendors, the model and the look of the bride. 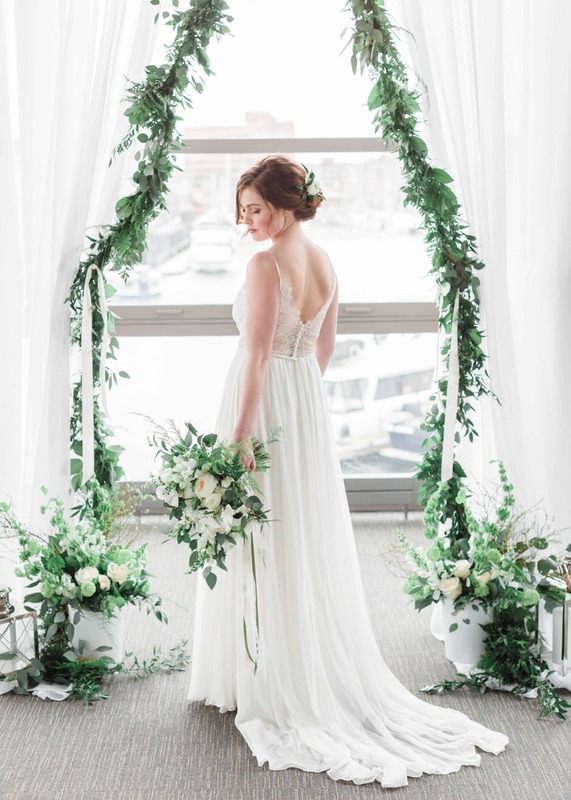 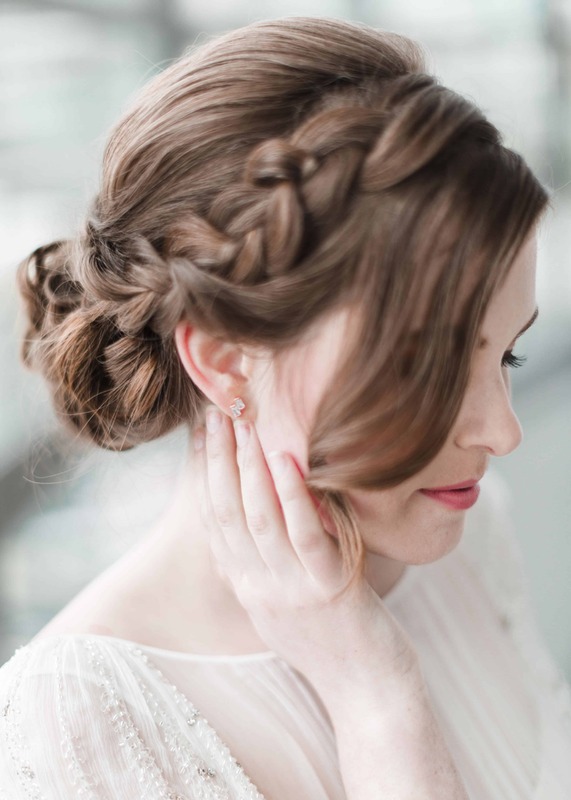 "Blush Sky Photography is known for her soft natural-light photos, and she was the perfect photographer to capture the natural vibe of our shoot." 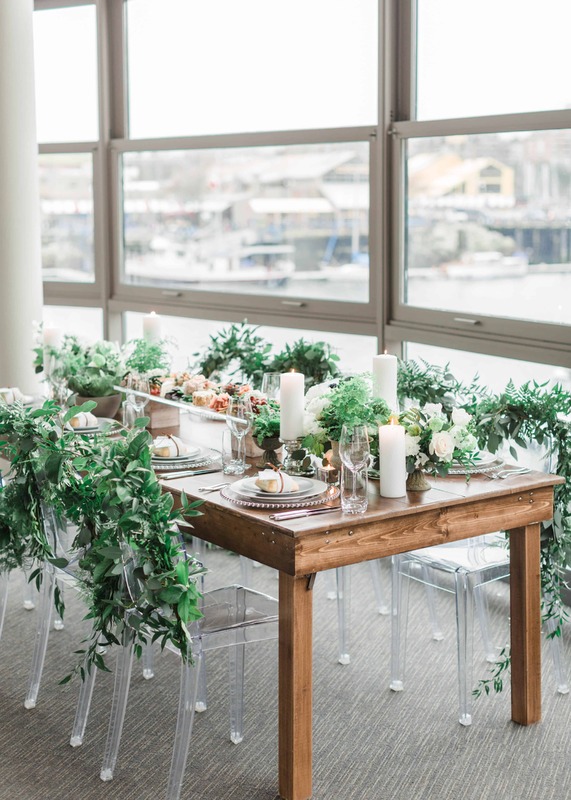 "Waterview Special Event Space is a modern and urban venue with amazing views of the Vancouver harbour and Granville Island (thus our concept! 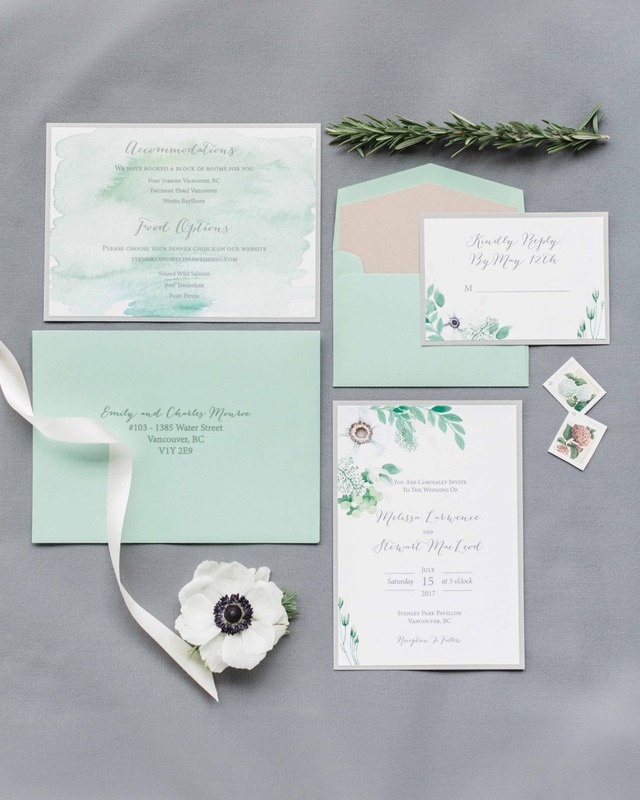 ), so our theme provide an interesting contrast of textures and colours as well as modern and vintage elements."